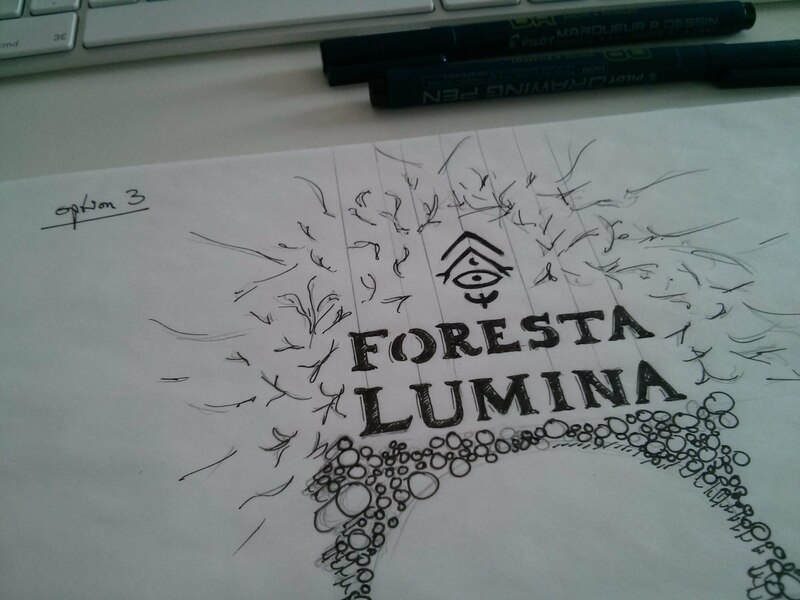 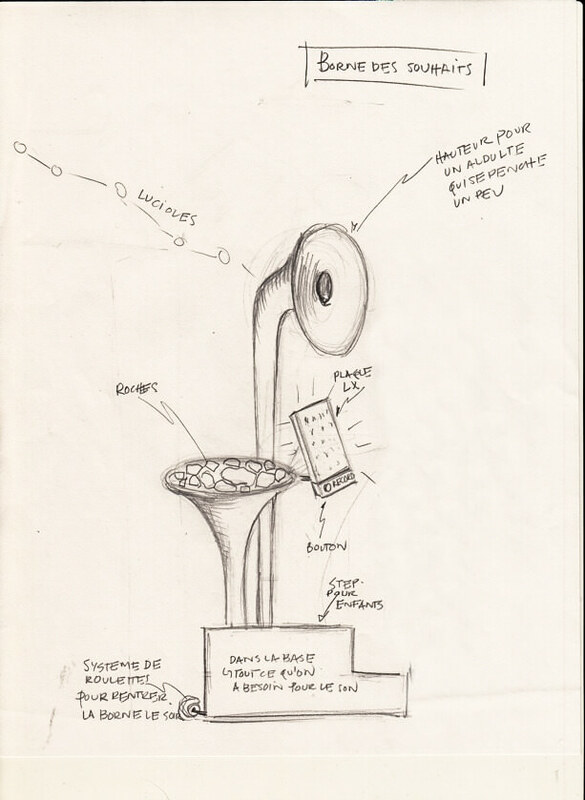 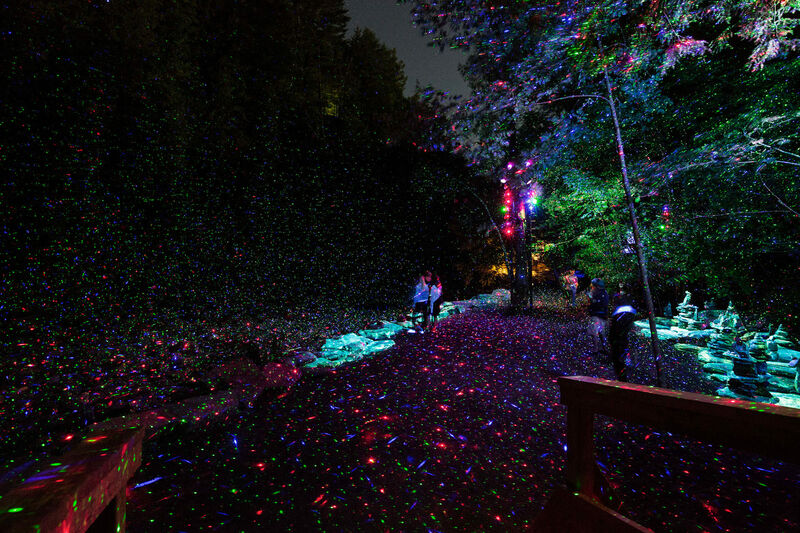 A walking trail through a forest of light and sound that became a tourist destination. 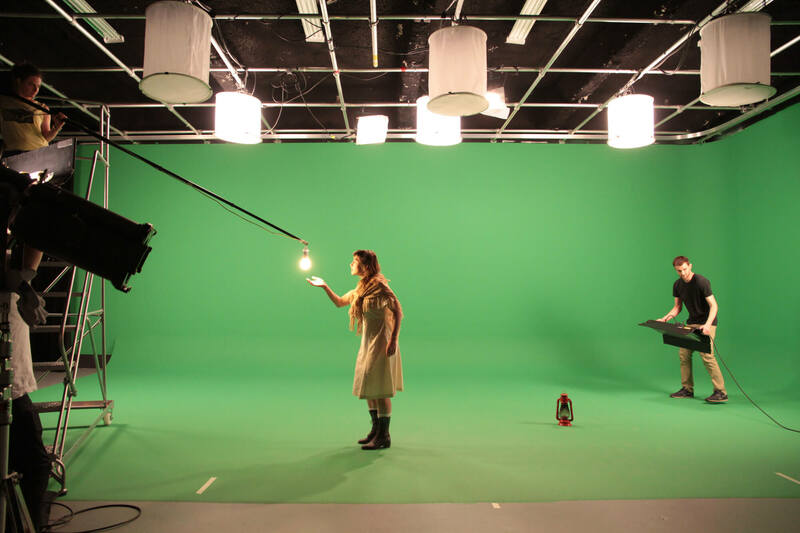 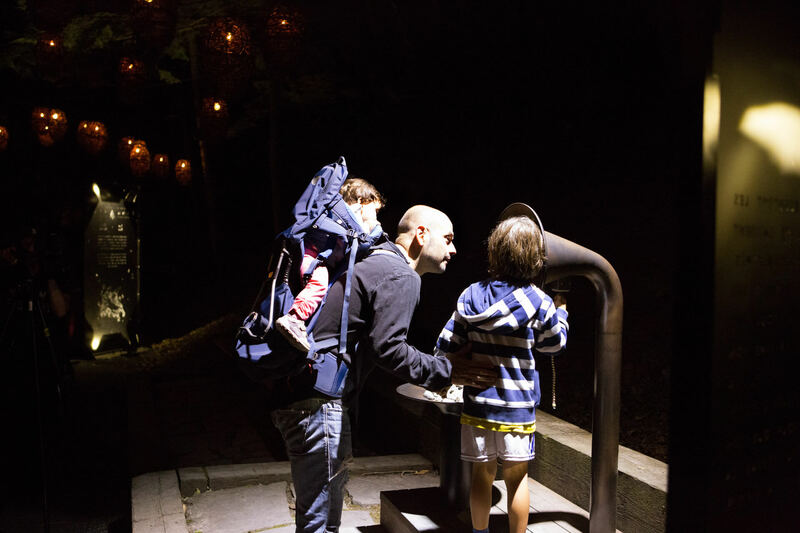 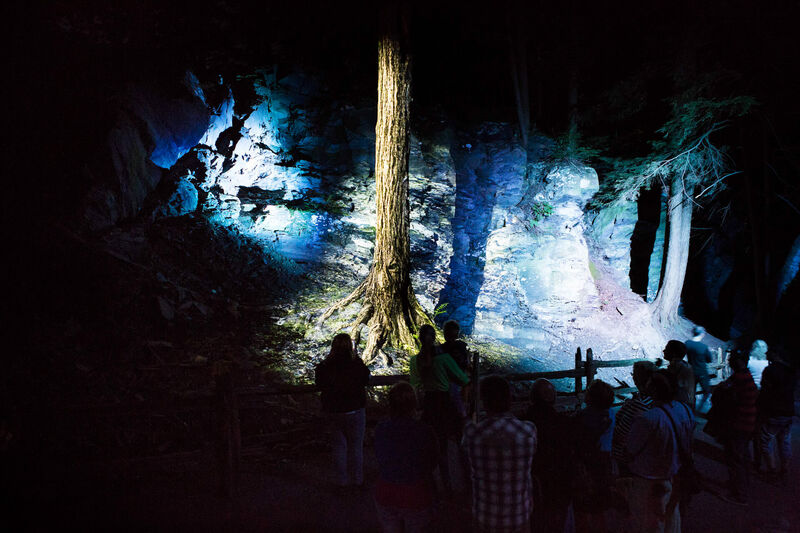 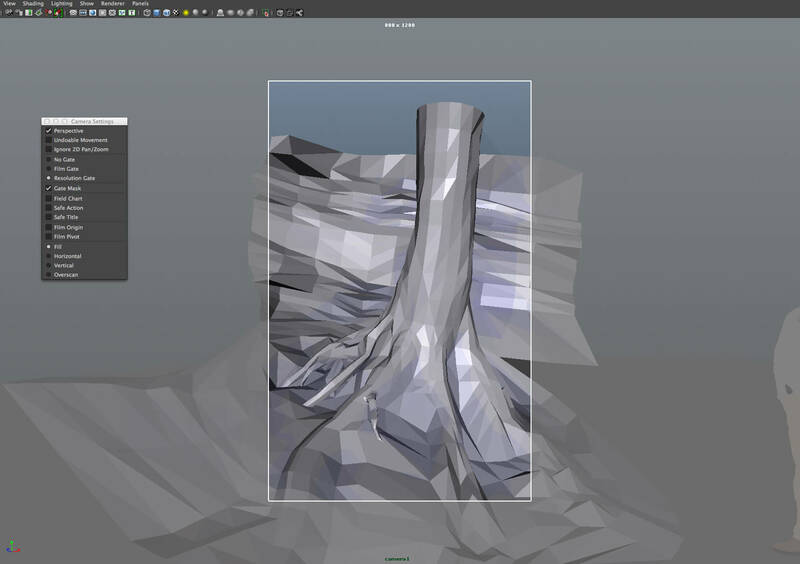 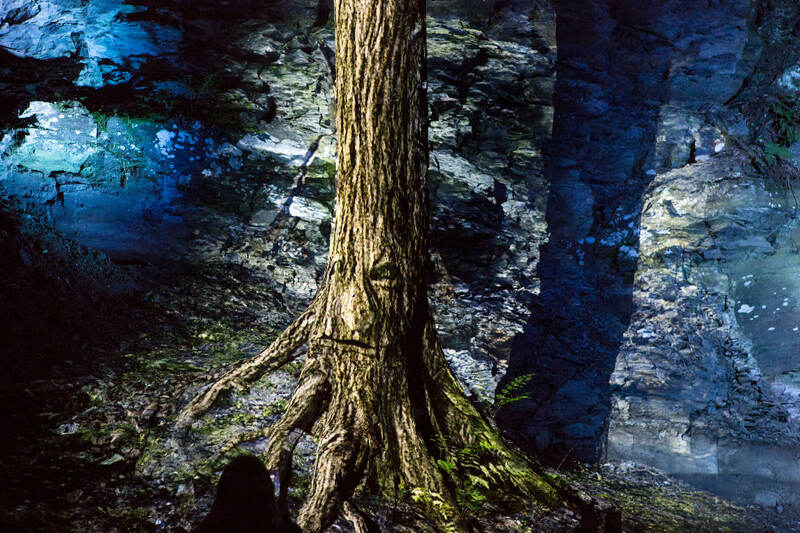 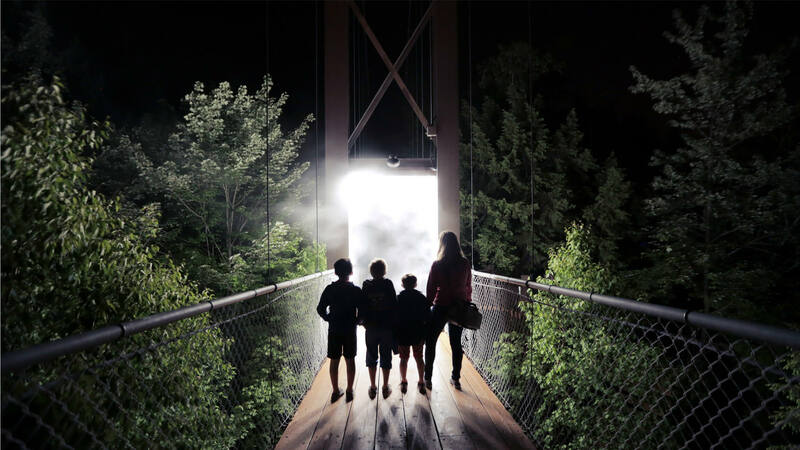 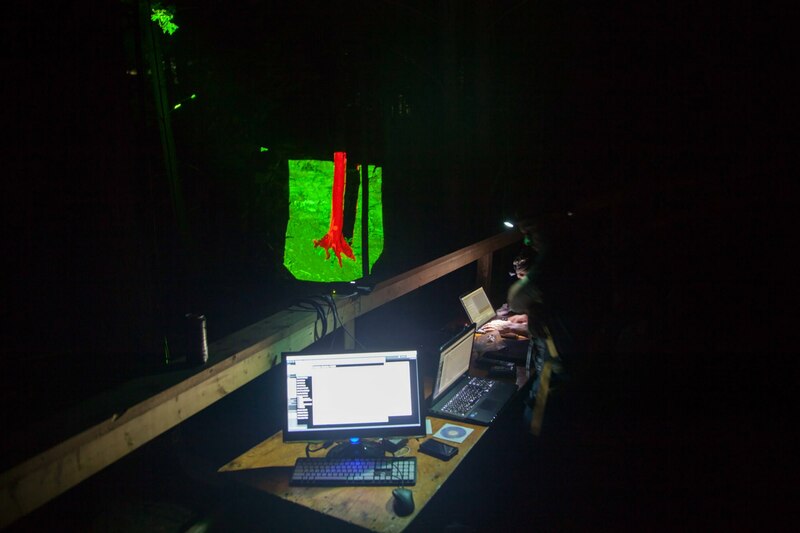 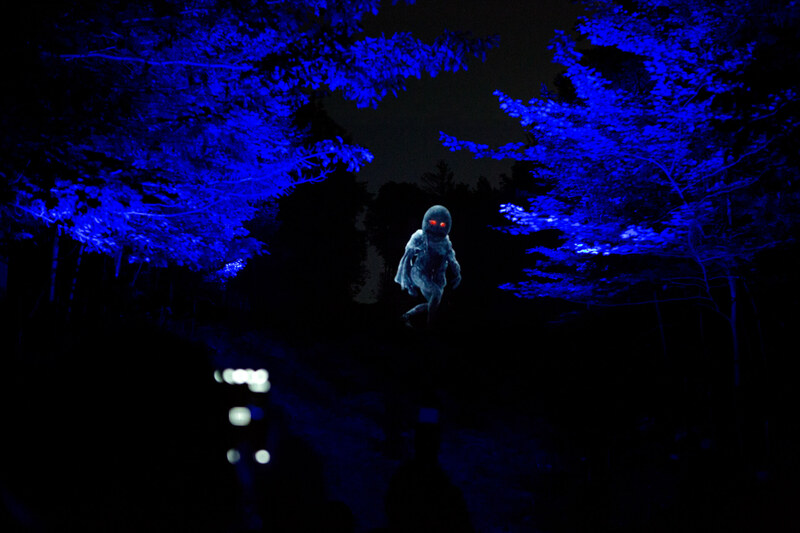 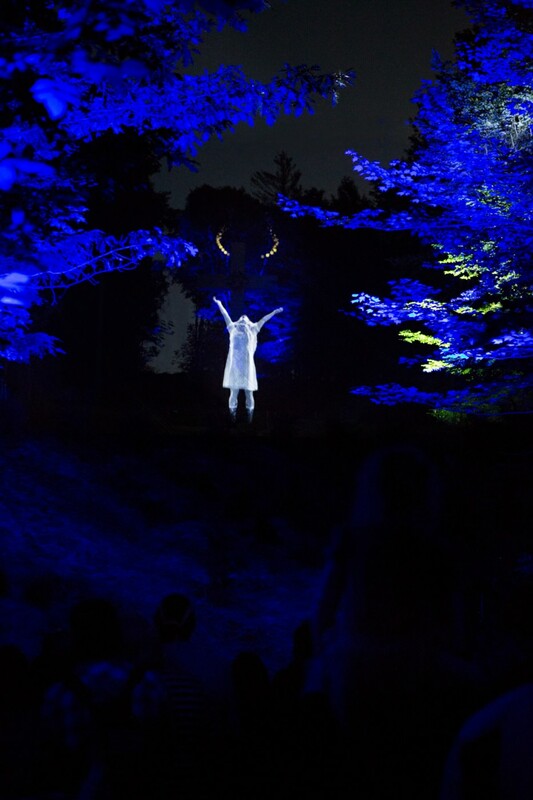 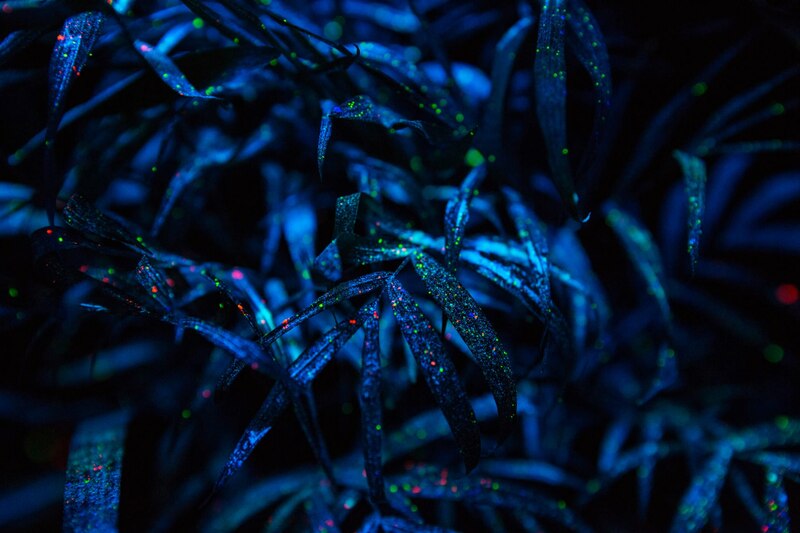 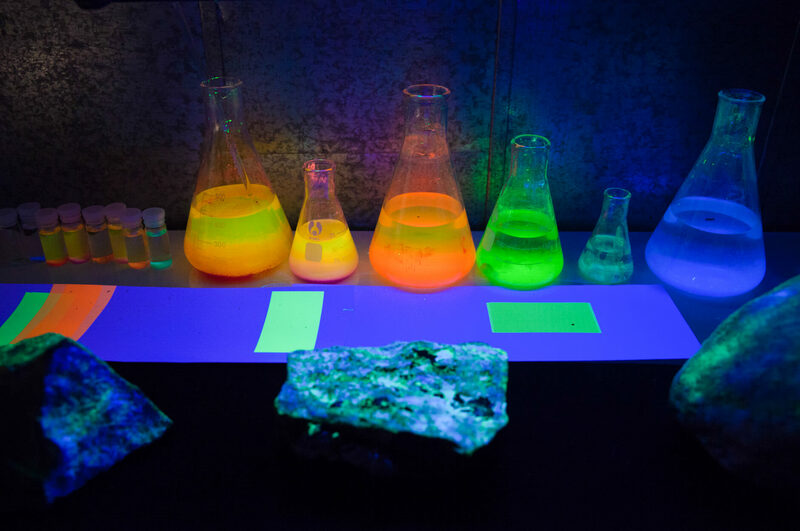 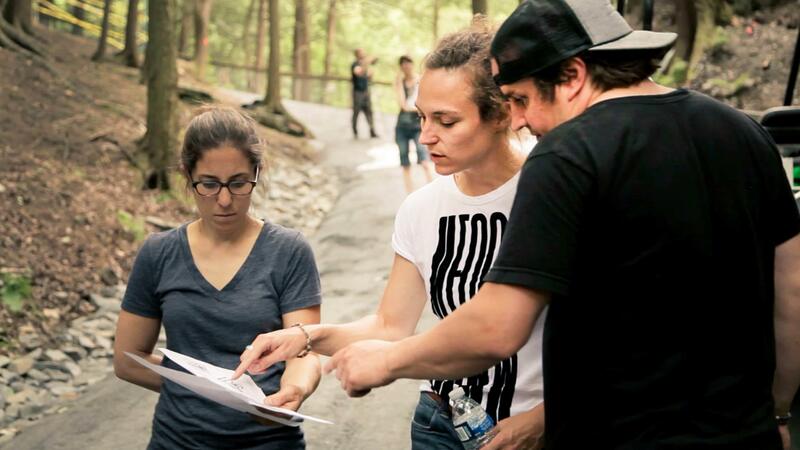 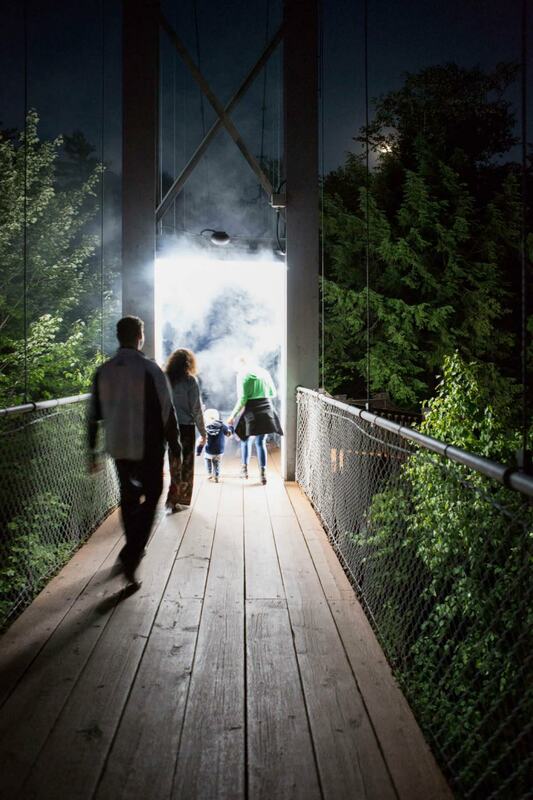 Wanting to showcase its charms, Parc de la Gorge de Coaticook commissioned Moment Factory to create Foresta Lumina, an illuminated night walk through the forest. 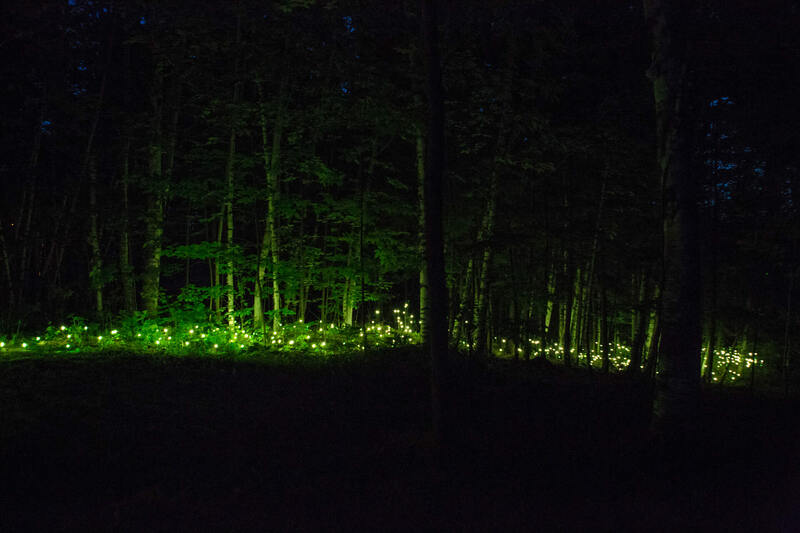 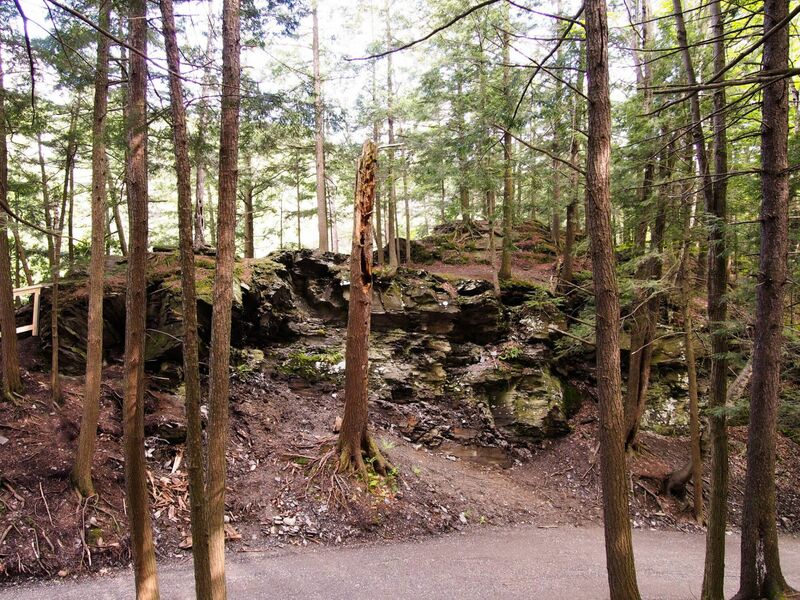 After nightfall in summer, visitors are invited to discover an enchanted trail winding 2 km through the woods. 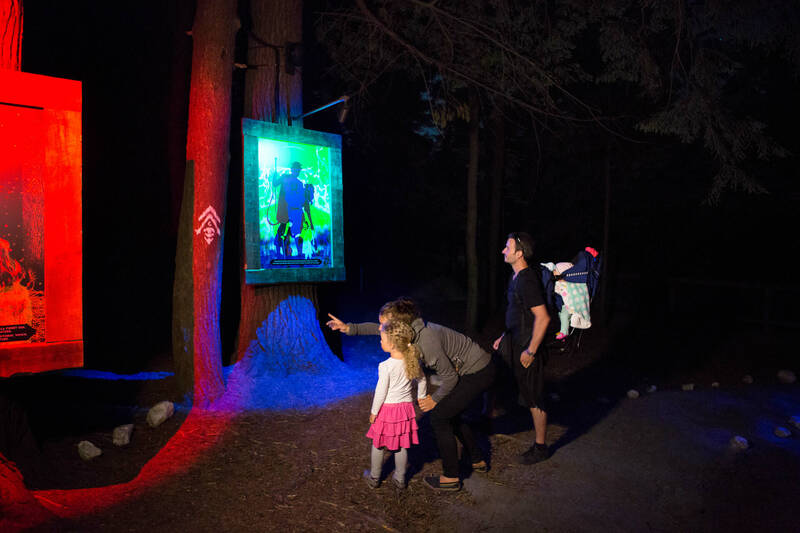 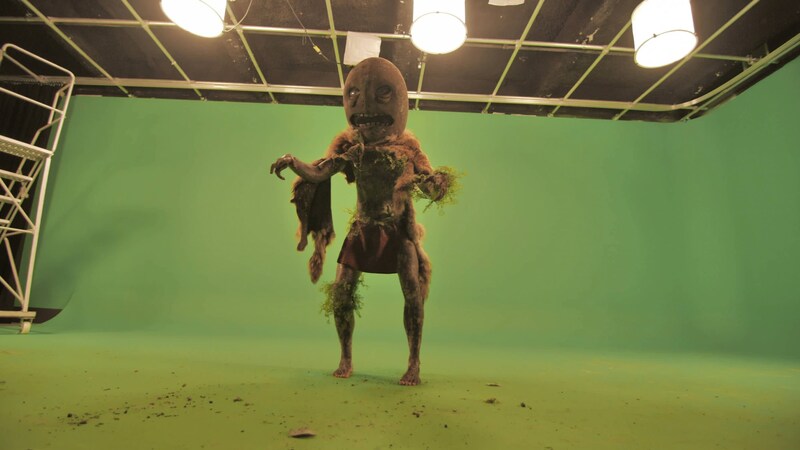 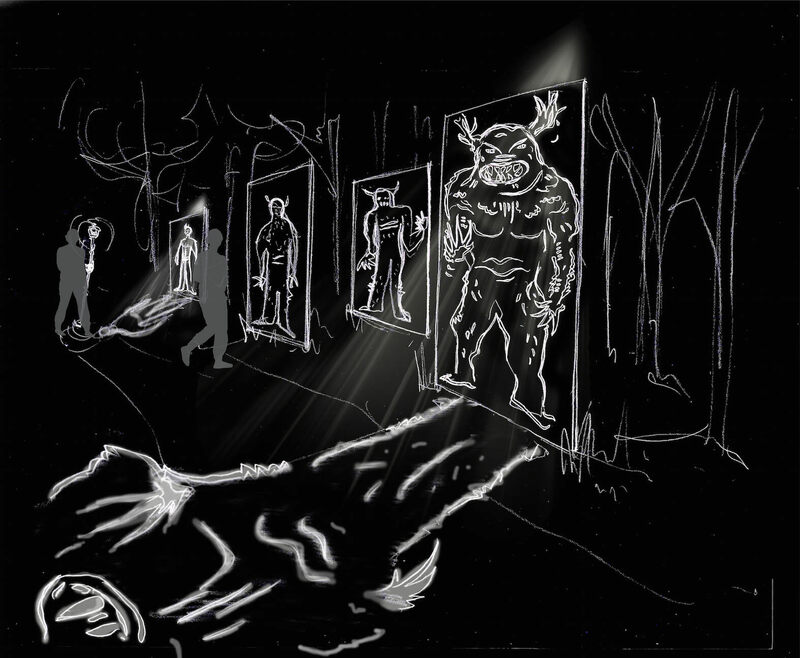 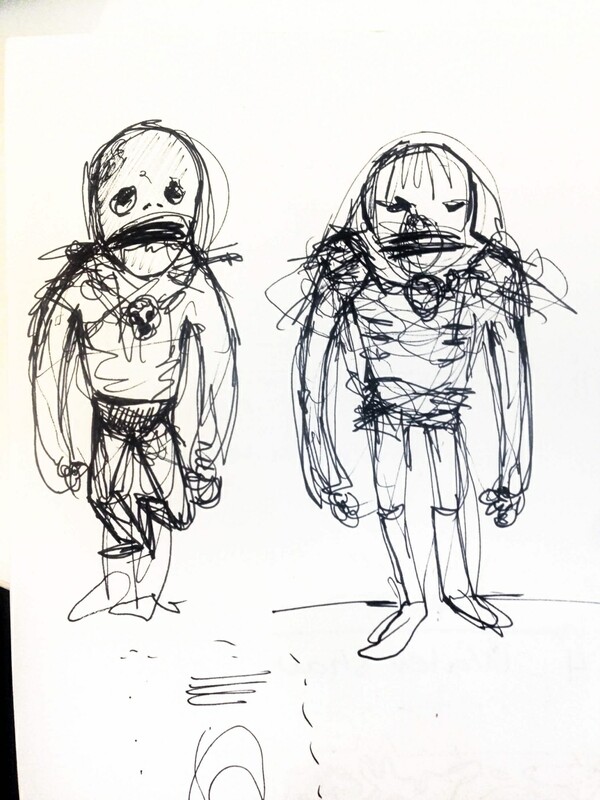 As they walk through the mysterious forest, visitors meet characters inspired by the area’s myths and legends, who draw them into an immersive adventure. 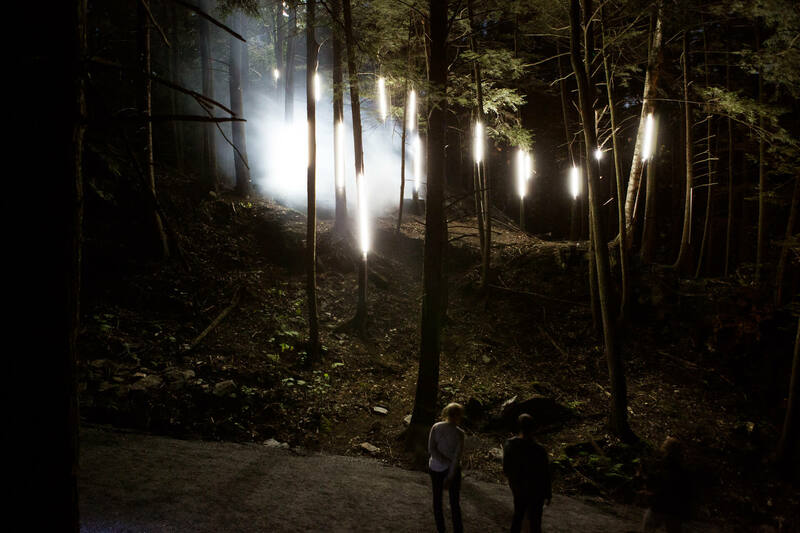 The scenography, combining projections and lighting, is accompanied by an ethereal soundtrack. 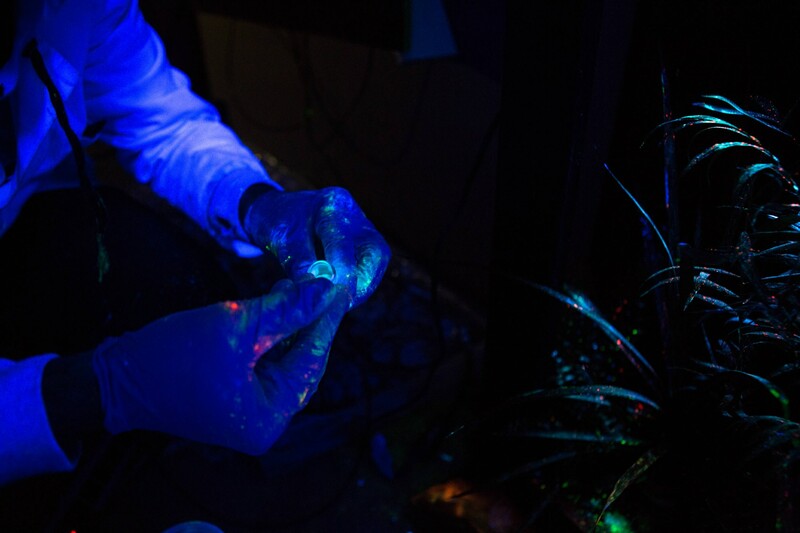 The result is an unparalleled sensory experience. 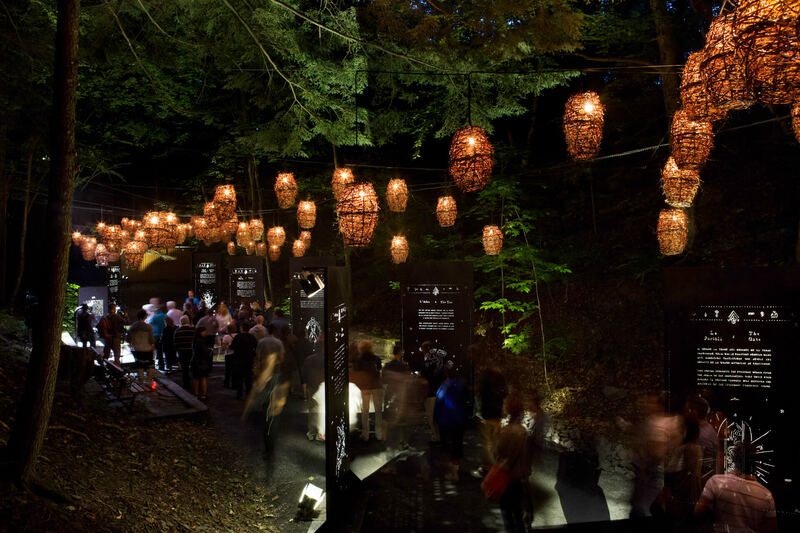 The Moment Factory team custom-made the entire experience, including perforated metal panels resembling ancient manuscripts, lighting units designed to look like fairies, video mapping on natural elements and more. 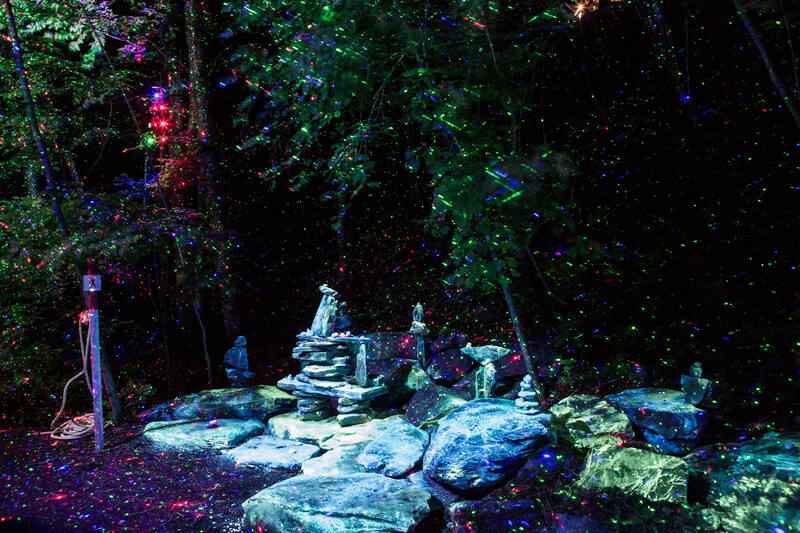 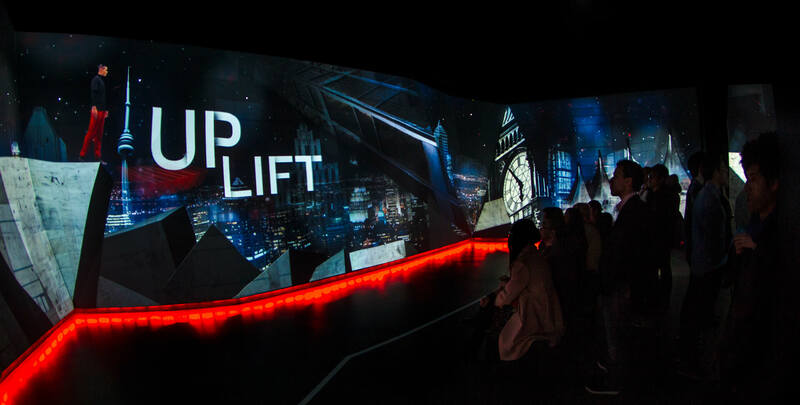 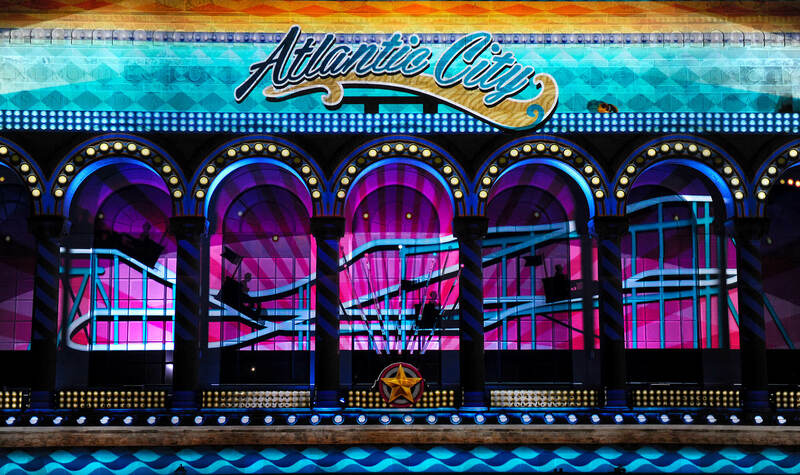 The multimedia installations are seamlessly integrated into the surroundings, creating an all-encompassing sense of magic. 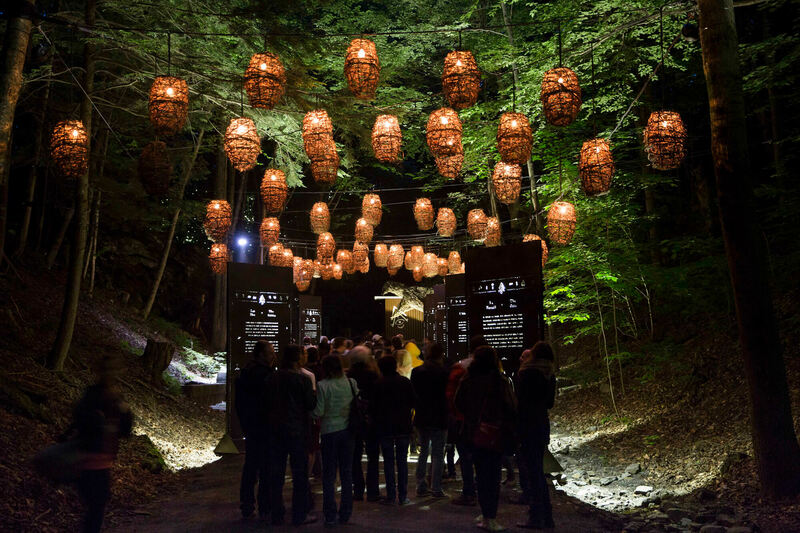 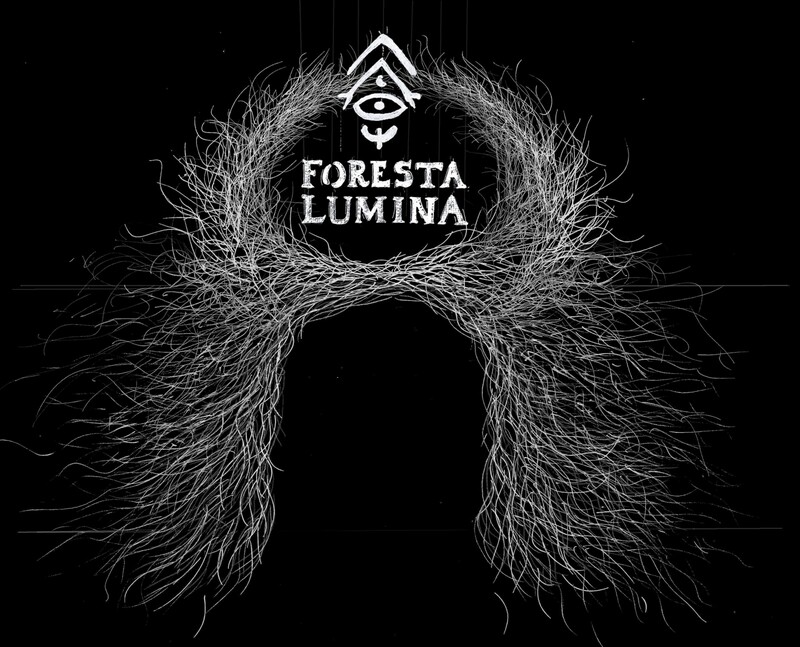 Following 2014’s success, counting over 70 000 visitors – nearly ten times more than the initial estimated foot traffic – Foresta Lumina, has once again surpassed its set objectives with more than 145 000 visitors for its second consecutive year. 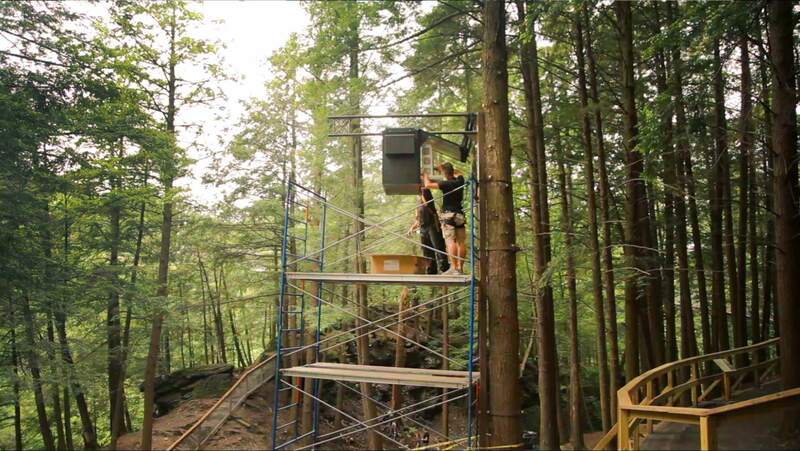 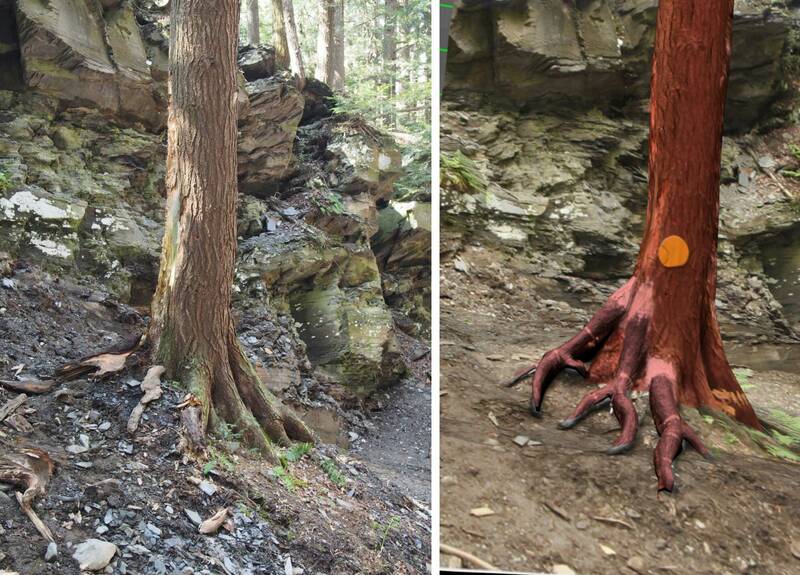 This installation has allowed for an 1800% traffic increase in the region of Coaticook.